The new song Waari Re Lyrics is out from Zee Music. The song is sung and composed by Aman Trivedi while the lyrics have been penned by Aakash Trivedi. Gali gali dhundhon tujhe piya re..
Tujh bin mera kon yahan hai..
Ho ja mera aas yeh mangu..
Aaja waari re tore naam.. 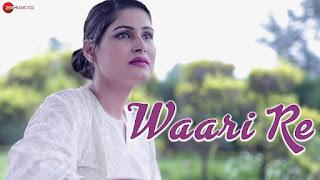 The new song Waari Re Lyrics is out from Zee Music. The song is sung and composed by Aman Trivedi while the lyrics has been penned by Aakash Trivedi.